Did you ever wonder how the top professionals capture those amazing underwater pictures? 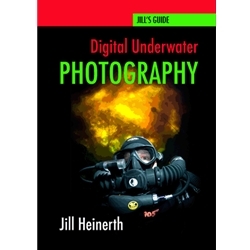 In this easy to understand guide, Jill Heinerth shares her secrets, techniques, and photo-expedition experiences, to help you improve your underwater digital photography. An acclaimed photographer and film maker, Jill takes you through the practices that she, and many other working pros employ to produce award-winning results. From swimming pointers to editing software advice, this guide contains the latest real-life knowledge that will make you a more capable and confident diver and photographer. Generously illustrated with Jill's own full color images, this guidebook is a valuable addition to every scuba diver's library.